M J Group Car Accessories - Manufacturer of car accessories, seat cover & car seat cover in Ernakulam, Kerala. In order to cater to the diversified requirements of our valued patrons, we have been able to offer a comprehensive range of Car Accessories. 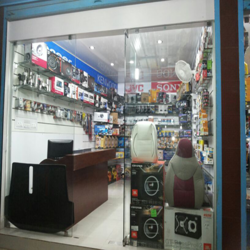 The accessories offered by us is sourced from some of the most trusted and reputed names of the market. We have also ensured to deliver these products at the clients specified locations within the predefined time frame. Products offered under this category are steering cover, car temple, mud flaps, side biddings, door protector, window, front & rear glass shutter, back door spoiler, tyre covers and various others. We are one of the foremost dealers of best quality Seat Covers. The covers are manufactured at our vendors' ends using high grade raw material and most advanced machinery. Covers offered by us are highly demanded in the market due to their tear resistance property. 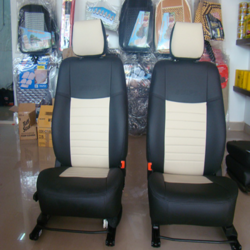 In order to attain maximum satisfaction of our valued clients, we have been able to provide seat covers for all category of cars such as SUVs, Small and Sedan class. Seat covers offered by us are checked on various quality parameters so as to attain maximum contentment of our valued patrons.